Los Altos, CA, March 29, 2016 - DPL Telematics, a leading provider of advanced asset monitoring and telemetry technologies, announced today the release of internal backup battery and anti-tamper features for the next generation Trackall OBDII Vehicle Tracking System. The Trackall OBDII is an advanced solution for wireless monitoring and remote tracking of vehicles to increase driver safety and productivity while reducing fleet costs. 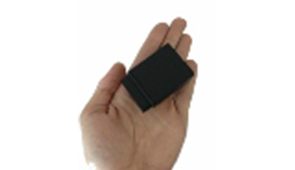 The GPS unit has no external wiring or antenna and plugs into the existing OBDII port of most vehicles, installing in seconds. Newly minted anti-tamper features include a backup battery which delivers immediate disconnection notifications with location, as well as GPS jamming detection. · Automatic Location Updates: Constant reporting is triggered by vehicle status, steering wheel turn, ignition and time intervals which create a daily driver log of activity and can be mapped as a “bread crumb trail”. The resulting visibility powers intelligent, real time fleet management decisions for superior dispatching, less wasted driver time and faster dispute resolution. · Anti-Tamper Protection: To combat disconnection the unit uses its internal battery to send out an immediate notification and location if it is removed from the OBDII port, and continues to track for several hours. It also detects GPS jamming and will self-correct if this interference is sensed. · Engine Data: The vehicle’s supported temperatures, pressures, check engine light and diagnostic fault codes are wirelessly transmitted and archived on the software for remote asset diagnosis. All data is accessible from any Internet connected device; thus empowering the fleet manager to proactively take immediate corrective action instead of reacting to a catastrophic failure. · Utilization Data: Additional supported data includes mileage driven, engine runtime hours, idling hours, PTO and RPM, fuel level and fuel remaining. These production metrics are utilized to properly assess working time and curb excessive idling, which negatively impact fuel consumption, asset wear, service costs and warranty. · Safety Alerts: Fleet owners can remotely track and receive immediate notifications such as air bag deployments, driving without the seatbelt, harsh braking, rapid acceleration, speeding, towing and much more. · Security Alerts: Customer configured movement, tow and curfew parameters are standard functionality to reduce theft and unauthorized use of the vehicles. · VIN Decoding: Upon installation the unit will download the vehicle’s VIN and populate the software accordingly, thus reducing the need for manual entry and potential error. · Emission Test Readiness: The Trackall OBDII constantly tracks the eleven vehicle system components required for an emissions test and notifies if any fail to complete their cycle. This saves the time and resources of having to re-test, as any failing system will be proactively identified and can be corrected prior to the emissions test. DPL America is a leading provider of advanced asset monitoring and telemetry technologies for the construction, mining, rail, service, transportation and oilfield industries. With over 16 years of experience and an excess of $790 million in customer mobile assets trusted to it, DPL Telematics delivers a full suite of monitoring solutions with a global reach of over 140 countries. For more information, visit www.dpltel.com .